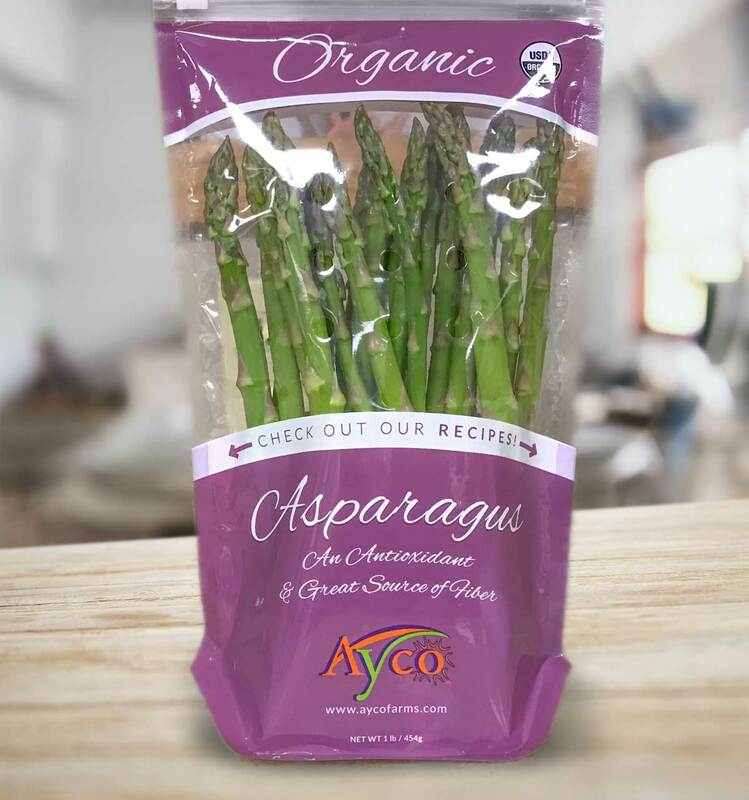 1 bag of Ayco farms Organic Asparagus. Trim ends and cut into 1.5-inch lengths. Preheat oven to 350 degrees. Cut off the tops of the garlic heads. Cut a large sheet of foil and place garlic in the middle. Drizzle the tops with a liberal dousing of olive oil. Season with a little salt and pepper. Bring sides of foil up and enclose garlic so no air can escape. Roast garlic until soft, about 35-40 minutes. Can be roasted up to three days in advance. In a large bowl, toss asparagus, tomatoes, olive oil, salt, pepper, and garlic powder. Pour onto a rimmed baking sheet. 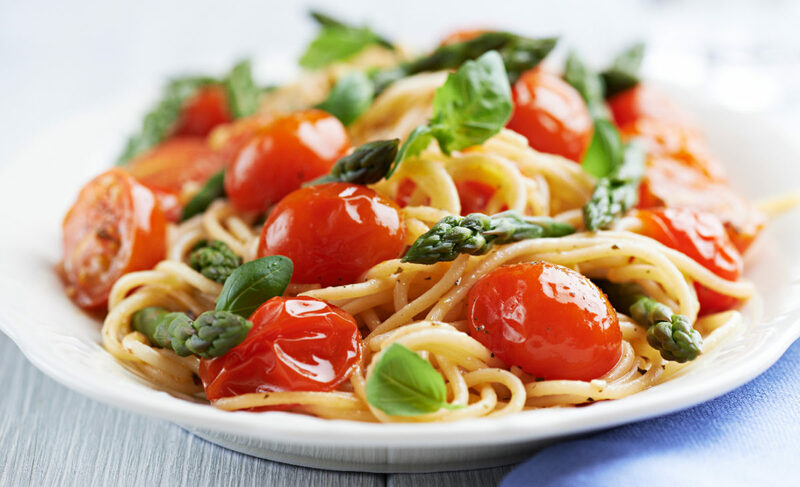 When the garlic has 25 minutes left in the oven, add the asparagus and tomatoes. Bake for 20-25 minutes until tomatoes start to burst. In a small saucepan combine garlic and olive oil. Turn the stove on to a low heat, cook for 15 minutes, and make sure the heat is low enough; you do not want the garlic to brown. Cook pasta in a large stockpot, filled with water seasoned liberally with salt. Transfer pasta (do not rinse) to a large serving dish. Add roasted garlic, asparagus, tomatoes, and infused olive oil. Toss together. 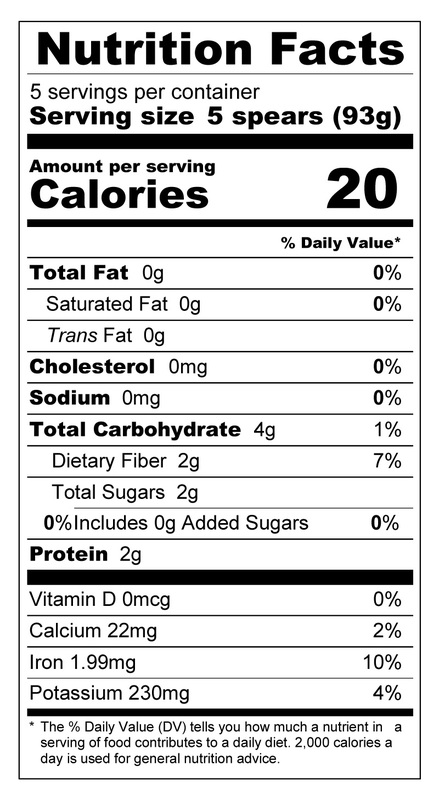 Add ½ teaspoon salt and ⅛ teaspoon pepper. Toss until incorporated. Season to taste with more salt and pepper if necessary. Serve with lots of shaved Parmesan cheese.